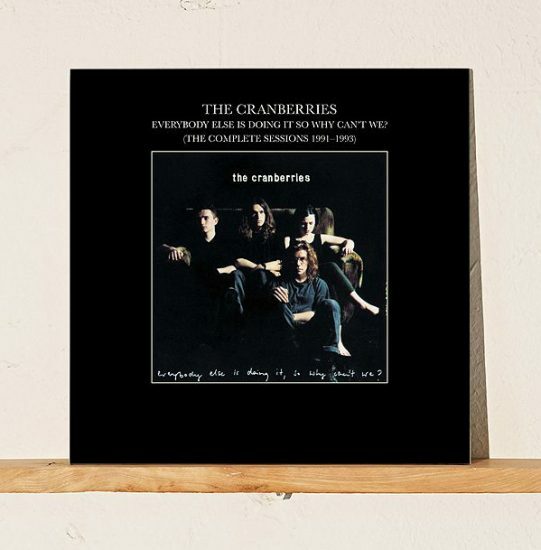 On May 5th Noel Hogan & producer Stephen Street will speak at Vinyl about the making of the band’s debut Everybody Else Is Doing It, So Why Can’t We? The Limerick Leader reports this morning that official book of condolence signed by 16,000 persons was presented to the Dolores family yesterday in Limerick. 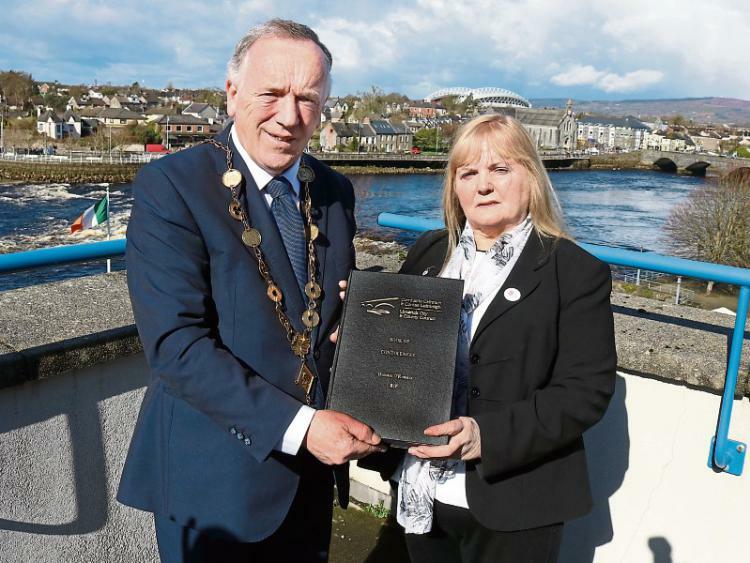 Mayor Stephen Keary explained this was the biggest book of condolence that was ever presented by the authority. Our friends from the Italian fan community of The Cranberries are calling out for fans to honour Dolores O’ Riordan by supporting a cause dear to heart. 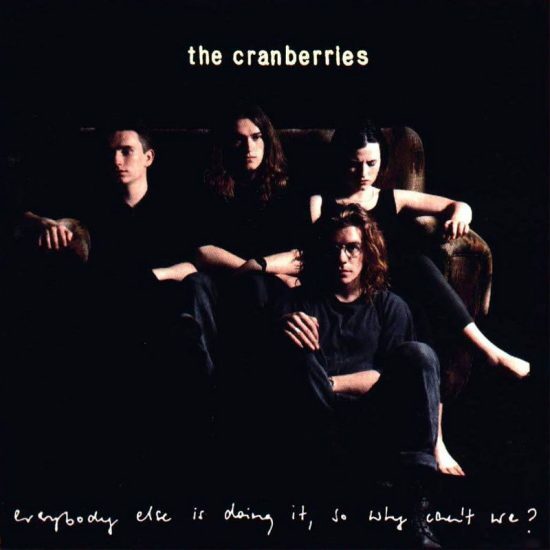 Indeed, Cranberries Italia is uniting with the organisation Learning Hub Limerick that provides a safe, welcoming and stimulating learning environment for youngsters to reach their full potential. The organisation works with local providers of educational services, families and young people to develop high-level resolutions in responses to situations of educational disadvantage and school drop-out. As we know, Dolores has shown on more than one occasion how children mattered to her, emphasising the reality in war zones, speaking of children suffering and sickness or environmental injustices. 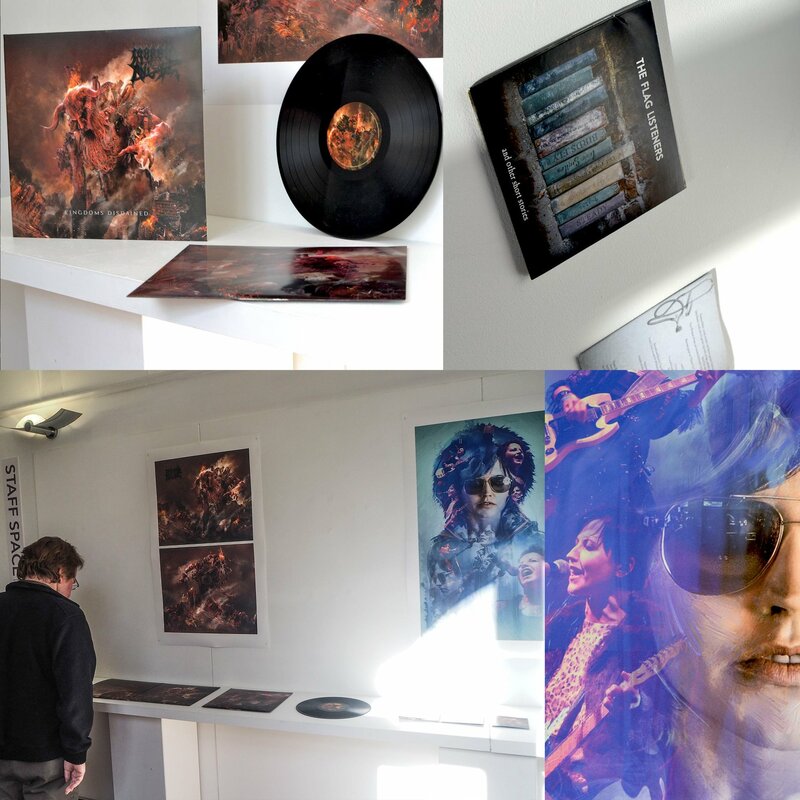 Cranberries Italia is thus encouraging fans to leave a trace in Dolores city, as a symbol of our passion for her art and generous personality, by supporting the young musical talents of Limerick. 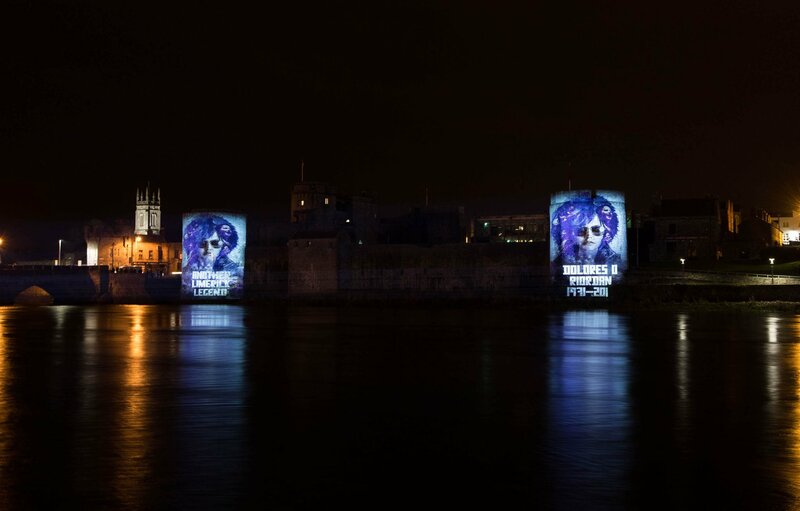 The Cranberries World team is happy to support this initiative and encourages everyone to get involved. 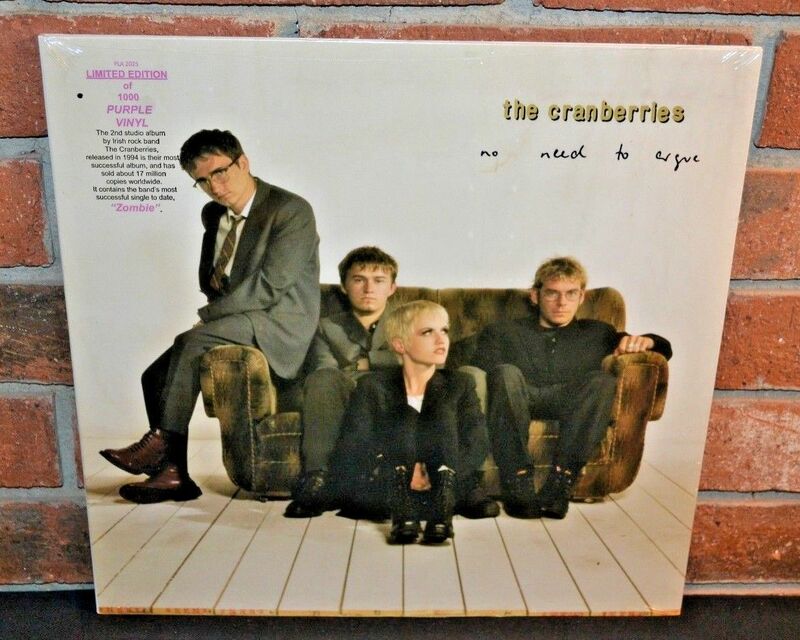 Check Cranberries Italia page for more information. And here comes another colored vinyl reissue of the album “No Need To Argue”. This time GOLD. It’s a “Urban Outfitters” exclusive and available on their U.S. and Canadian stores only. The vinyl will be released on March 30, 2018 and you can already preorder it for $29.90 + shipping. 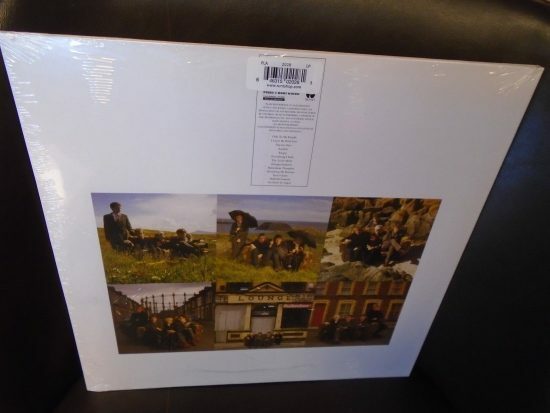 No official details about the label for now however, according to an eBay seller, the item would be limited to 1,500 and made by Plain Recordings, the label who already released 7 other colored vinyls of this very album. 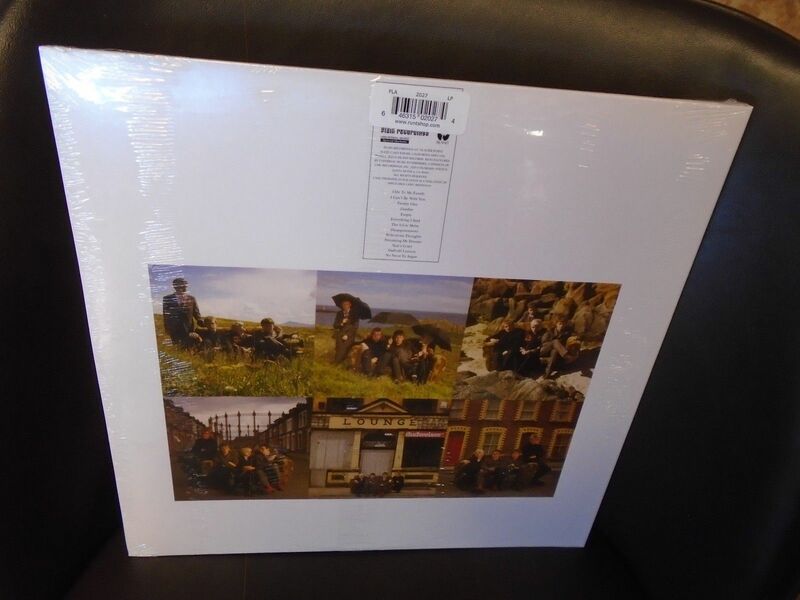 Still about Urban Outfitters, the shop, which is more like a fashion & clothing store than a record store, is also selling another (and exclusive?) 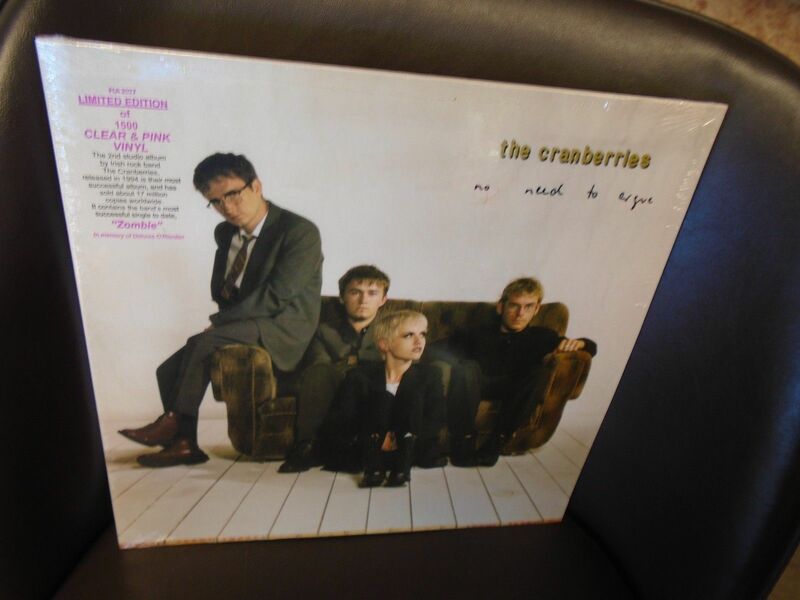 version of The Cranberries debut album on vinyl. Still their U.S. and Canadian stores only. Weirdly enough, their title and description are announcing the regular 12-track album when their photo shows the “Complete Sessions” version, which would be a first on vinyl. So where’s the mistake… time will tell! Release date is April 3, 2018 and you can already preorder it for $29.98 + shipping. Here is the third video of Alan we previously told you about: a never seen before interview of Dolores and Fergal by Ian Dempsey given on RTÉ Two in a show called “The Beatbox” on December 19, 1993. 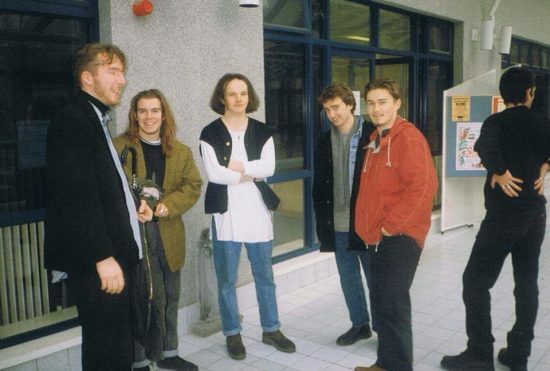 The interview takes place on the band’s return from their first and successful American tour, and follows their Limerick and Dublin performances (Dec 17th and 18th) before the Christmas break. As always, a huge thanks to Alan! You may remember the behind the scenes photo posted on Instagram on July 21, 2017 by Polish journalist Piotr Pasztaleniec. He also wrote “I finally met Dolores, soon in tv…” but we have had no news since! It seems, though, that the interview was indeed broadcast on Polish TV, on TVP2. We have no details about the exact date of broadcast nor the name of the TV show, the only thing we know is the interview was given in June 2017. 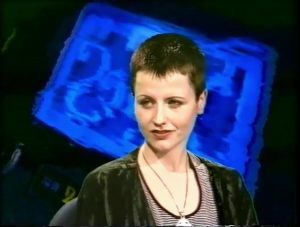 Fortunately, we found out today that the interview was published 2 days following Dolores’ passing on the website pytanienasniadanie.tvp.pl, and in HD 1080! 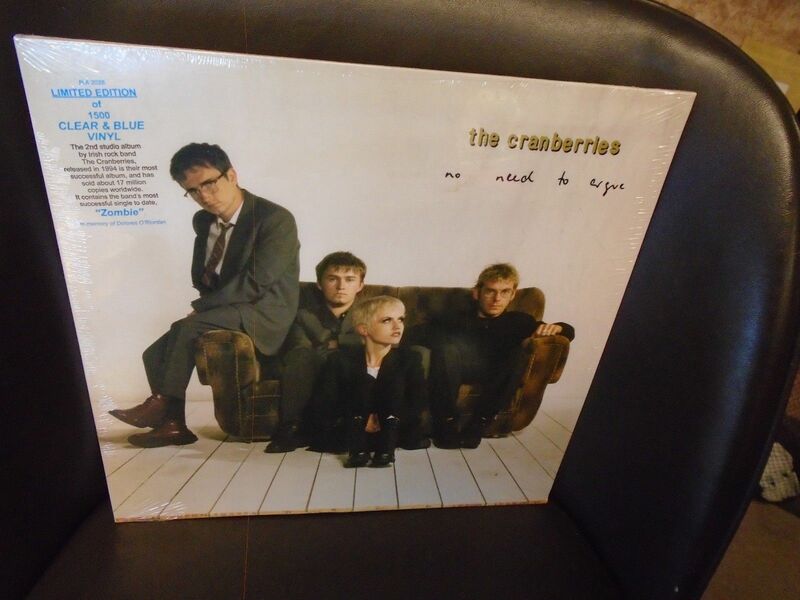 “I Heart Cranberries” tribute in Limerick is now SOLD OUT! 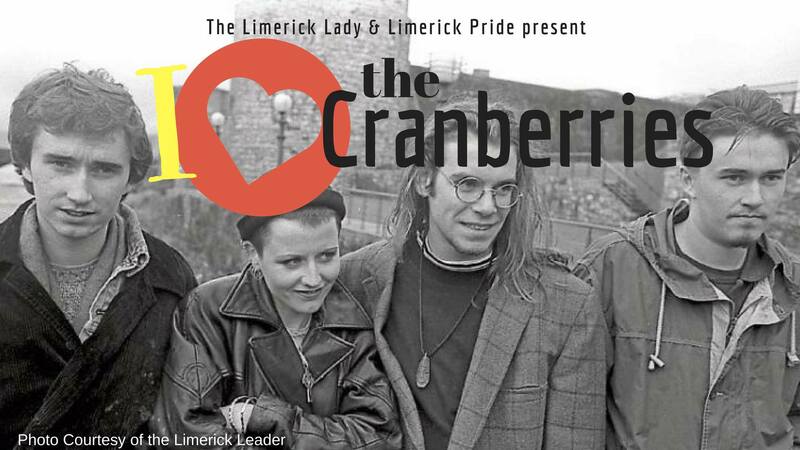 As expected, the “I Heart Cranberries” tribute due to take place on July 5th in Limerick has sold out within a couple of hours. 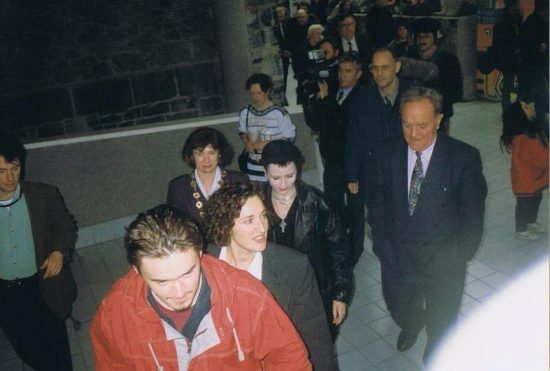 Congratulations to the organizers and those who will be taking part in the event, you just demonstrated Dolores O’ Riordan will definitely never be forgotten. Also, The Cranberries themselves have just wrote a small note to show their support to the project, although they confirmed they will not be appearing on the night. If you’re attending too, let’s make the boys and Dolores proud! Both Limerick Leader and Hot Press have recently spoken of the “I Heart Cranberries” tribute event due to take place at Dolans, Limerick on July 5th in aid of Adapt House and Limerick mental health service. [EDIT – 9 March – 2:00pm UTC] SOLD OUT!!! Alan Martin just shared on YouTube the full “Uncertain” video with the world for the first time ever. Thank you for digging these treasures out, Alan. The Cranberries just published on their website cranberries.com as well as their socials a new moving statement announcing that they were initially planning on releasing a special 25th anniversary of their first album “Everybody Else Is Doing It, So Why Can’t We?” this month through Universal Music. 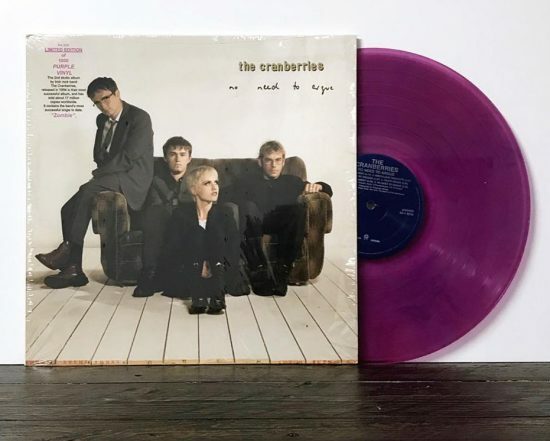 The project has been understandably put on hold since Dolores’ passing, but the band has decided to finish what they had started with Dolores, and get this special edition out “later this year”. 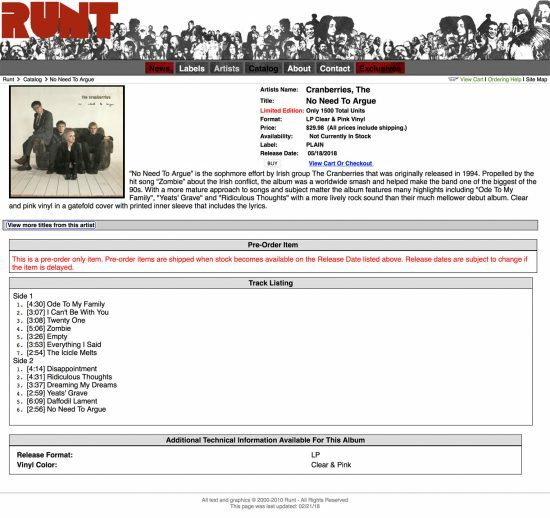 This will feature remastered versions of the tracks we know, along with unreleased material and bonus material from this early 90s era of their debut album. 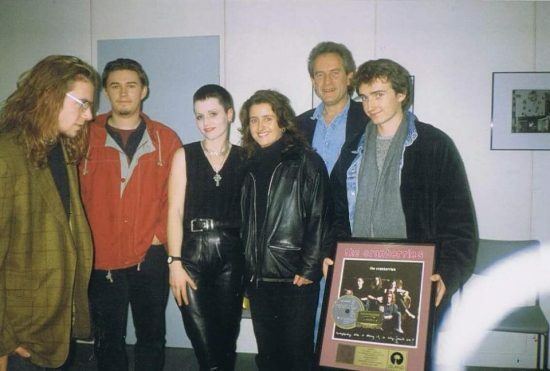 The band also uses the occasion to remind fans they’re planning on completing the recording of the new album which they had been working on during the past months, and for which Dolores had already recorded the vocals. The CW Team would like to send Noel, Mike and Ferg all their love and support as we presume this won’t be easy for them. A Cranberries mural on Landmark building wall in Limerick? 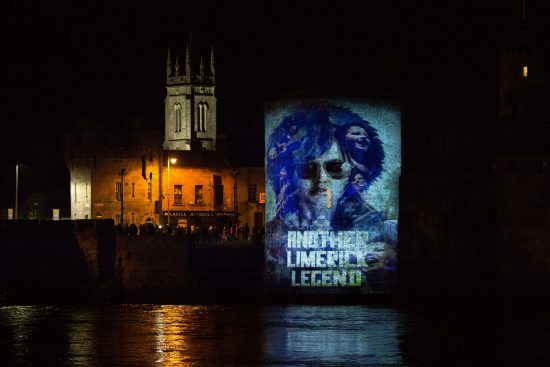 Yesterday, the Limerick Leader published an article to let the people know that Limerick City and County Council would like to hear on everyone’s idea for a new mural/painting to be placed at one of the city centre’s key spot. The local authority is seeking ideas from members of the public ahead of commissioning a painting for the gable wall of Speaker’s Corner at the junction of the Hyde Road and the Lower Carey’s Road. 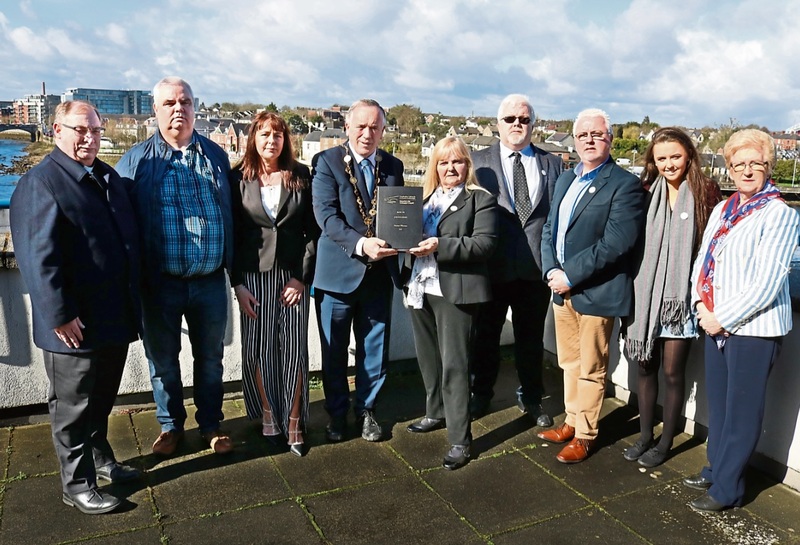 While the building itself has been bought by the Mid-West Simon Community and is being converted into apartments, the Council has been given permission for the mural. In particular, designers at the Council are seeking ideas for the mural which will have a connection to its location and history. Ma​ria Donoghue, the executive architect with Limerick City and County Council said: “This is a great opportunity for the people of Limerick to get involved in creating new artwork for their city”. The mural will be unveiled at the beginning of the summer if weather permits it. While ideas are to be submitted by email to maria.donoghue@limerick.ie or on Twitter using the following hashtag #SpeakersMural, some people are already suggesting to go for a Cranberries/Dolores O’ Riordan tribute. 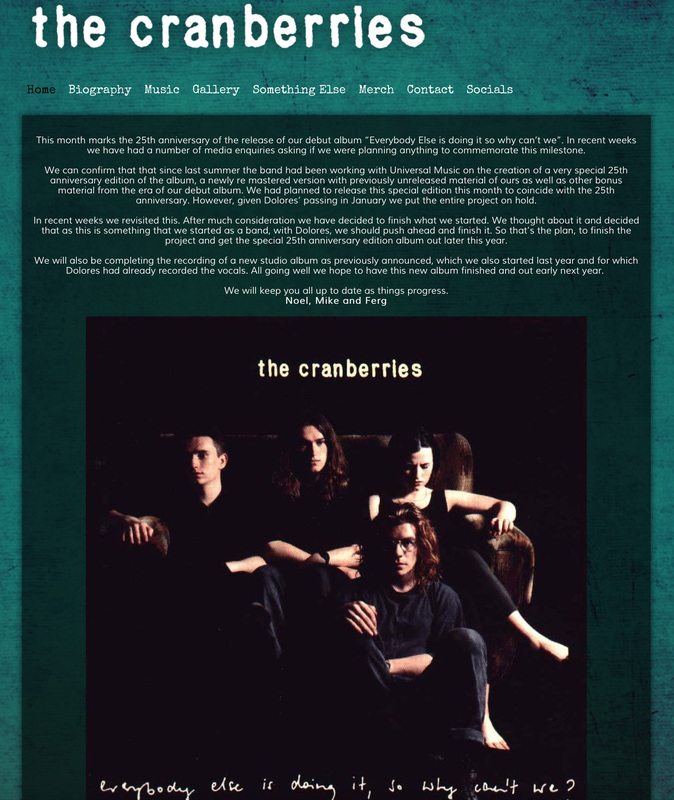 If, like us, you feel like supporting this idea, we invite you to email or tweet the local authorities to let them know that The Cranberries deserve this spot. Let’s make it happen #TheCranberriesMural #SpeakersMural !!! 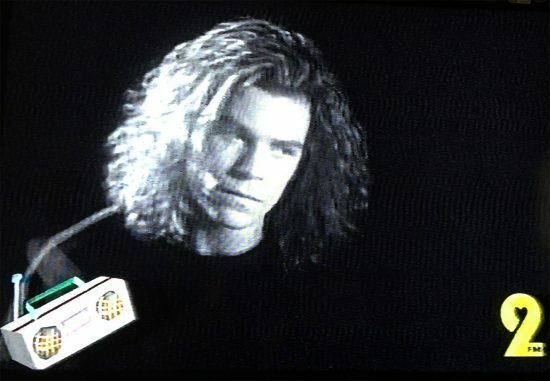 Our thoughts go out to our favorite drummer on this special day! We hope you’re surrounded by your loved ones today, Ferg. 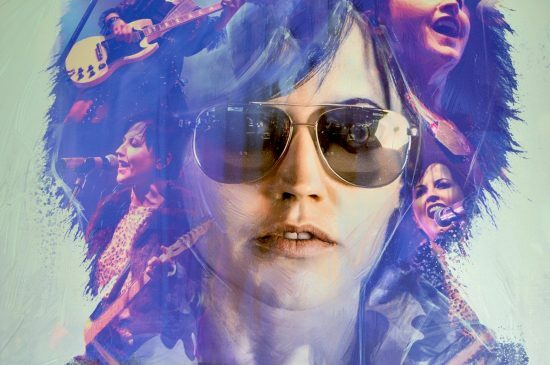 A very special concert at Dolans Pub on the 5th of July is the latest in the well-known “I Heart” series which usually takes place at Whelan’s in Dublin and has paid homage to Bowie and Elliot Smith. “I Heart the Cranberries” could of course only take place in the home city of Cranberries’ frontwoman, the late Dolores O’Riordan. On the night over twenty artists from all over the country will gather to pay tribute to Dolores O’Riordan and the music of the Cranberries – audience members can expect unique renditions of some of the world’s favourite Cranberries songs, with the night culminating in an explosive performance of some of the band’s chart topping anthems, brought to you by our brilliant house band fronted by leading female vocalists from Limerick and beyond. This event will be a celebration of diversity, women, the LGBTQ community and Irish music at its very best. Doors on the night open at 8pm, and capacity is limited, so book your tickets as soon as they’re available, and get in early on the night. 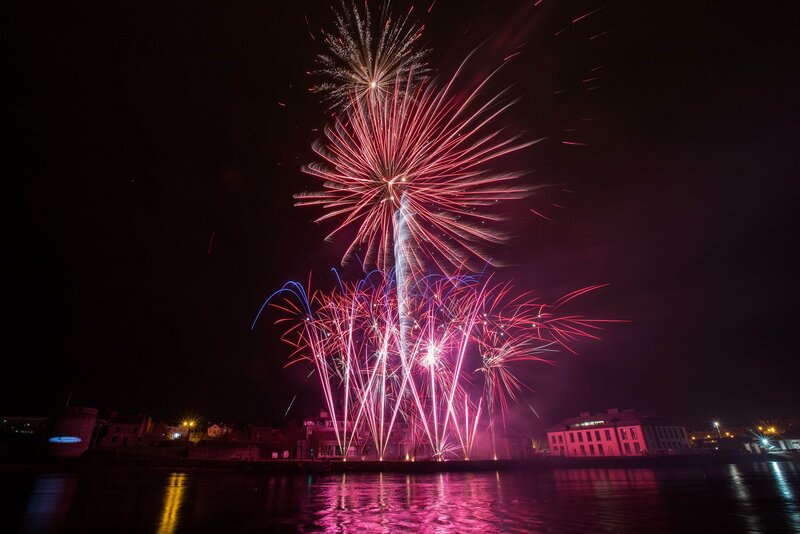 Follow Limerick LGBTQ Pride and The Limerick Lady on Facebook and Twitter for artist announcements and event updates. We’re sending love, at this very difficult time, to the lads: Fergal, Noel and Mike as well as to you, Dolores, wherever you are… 25 years ago you guys released an absolute masterpiece! Great and rare photo posted on Instagram yesterday by Neil Franko. Even if he didn’t give any details, he is possibly posing with Dolores at the showcase in Trinidad And Tobago on 7 September 2007. Notice Steve DeMarchi in the background. WATCH: “Ode To [Her] Family”… by her family! Moving tribute by Dolores’s niece Noelle O’Riordan, with musicians Garreth Dunleavy and Fintan Coen at the “Dreaming Her Dreams: A Night in Memory of Dolores O’Riordan” event in Roisin Dubh, Galway, last night. Zucchero has started his “Wanted Italian Tour 2018” last Friday in Zurich, Switzerland. 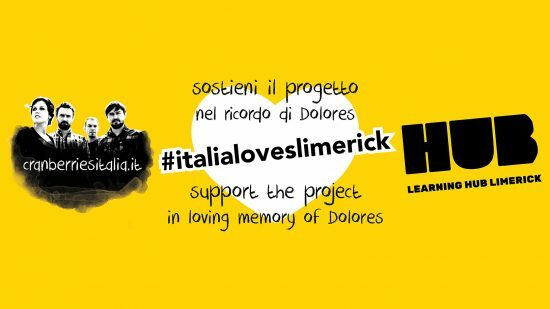 The Italian singer, who as you know was a friend of Dolores and shared the stage with her a couple of times in the past, published a message on 15 January to express how shocked he was over the passing of Dolores. 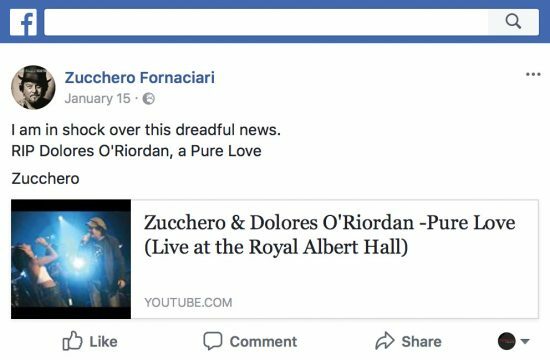 We find out today, through a video of yesterday’s concert, that Zucchero is paying tribute on this new tour by playing a beautiful rendition of the song ‘Puro Amore” featuring some pictures of Dolores on the screen. Thanks to Cranberries Italia for the info. "I talk to her all time. I feel she is there all the time – helping me. I give out to her sometimes too." 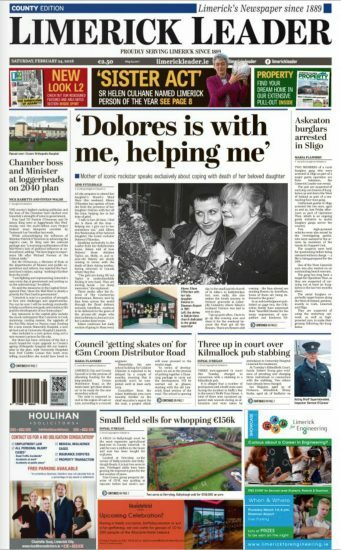 This week edition of the Limerick Leader (county edition) features an exclusive and moving interview of Eileen O’ Riordan. Eileen explains how the family is currently trying to come to terms with Dolores passing, and how they are getting prepared for the Month’s Mind Mass which will be offered this Saturday 24th in Ballybricken St Ailbe’s Church at 7:30pm. 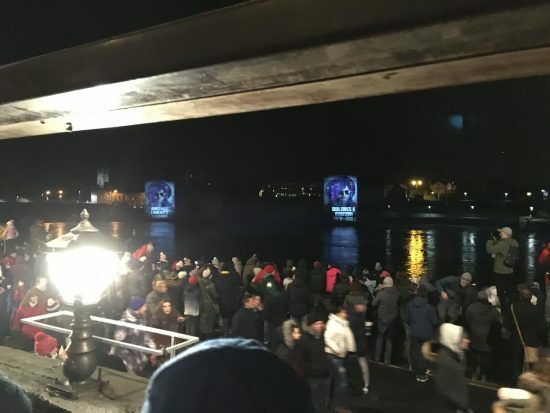 The family uses the occasion to offer thanks for support in past month, and does not fail to include the “many thousands of sympathisers and fans who sent mass cards, flowers and letters of sympathy“. 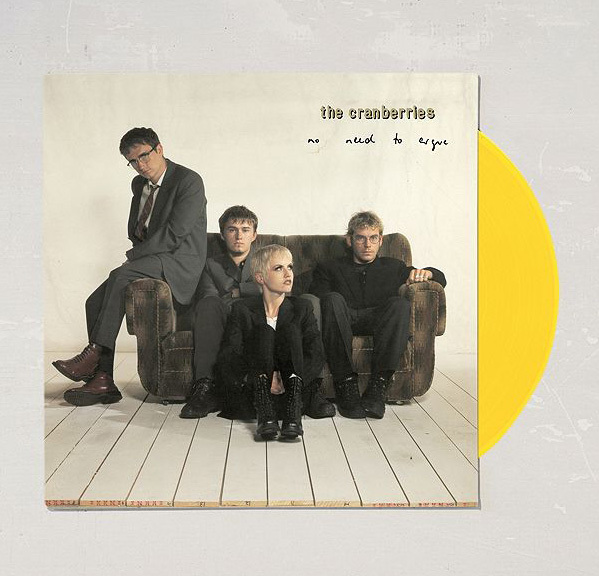 The CW Team deepest thoughts continue to go out to Dolores family, children, relatives, as well as to her band mates. 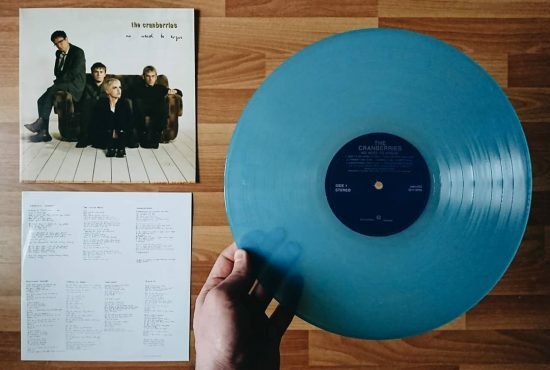 In the series “No Need To Argue” colored vinyl reissues, here come 2 more colors: CLEAR & PINK and CLEAR & BLUE. Both versions will be released on May 18, 2018 and are limited to 1,500 each. They are still made by the same label -Plain- which already released 5 other colored versions of the album. Click here to preorder the Clear & Pink version. Click here to preorder the Clear & Blue version. 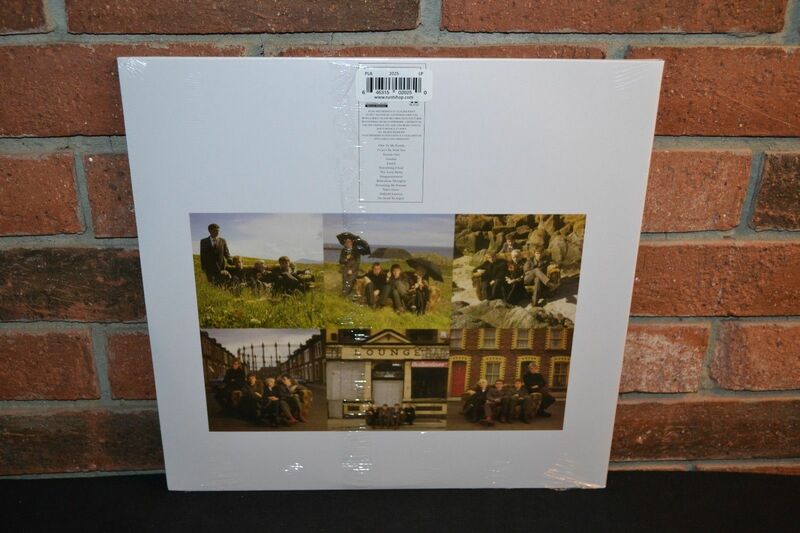 As usual on runtshop.com, price is $29.98 (each) including shipping for USA. Worldwide shipping is available for a few extra dollars.